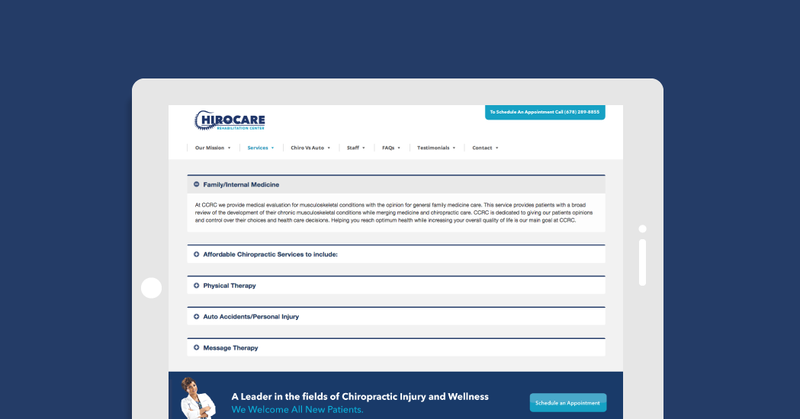 In late November, ChiroCare Rehabilitation Center sought the help of QJS to create the practice’s online interface. We initiated the project by studying the chiropractic field to understand the industry and its culture. 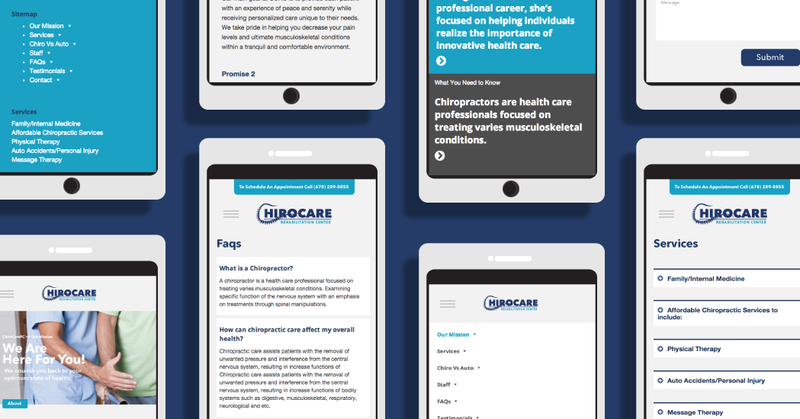 We proposed that the website demonstrate the practice’s capability to restore its patient’s health and educate the public about the medical profession. The site’s launch date required we work around the clock to deliver it in a few weeks time. 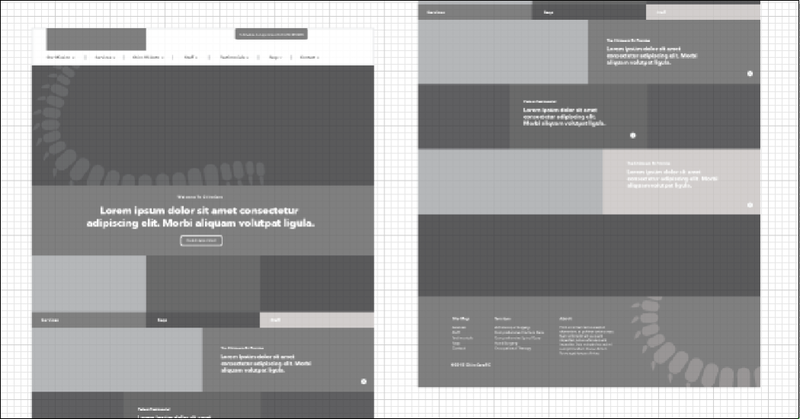 Wireframes were integral in the success of creating the website to the client’s liking. They allowed us to stay on track and give the client an idea on what they could expect their final product to be. 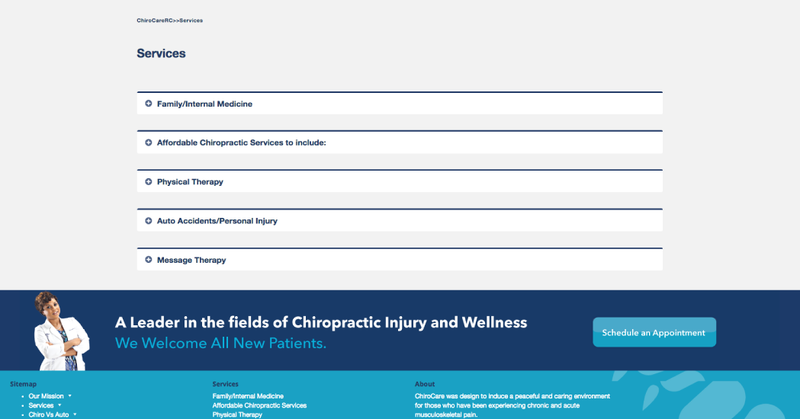 We worked directly with the practice’s founder in an effort to receive immediate feedback for the site’s speedy development and client satisfaction. 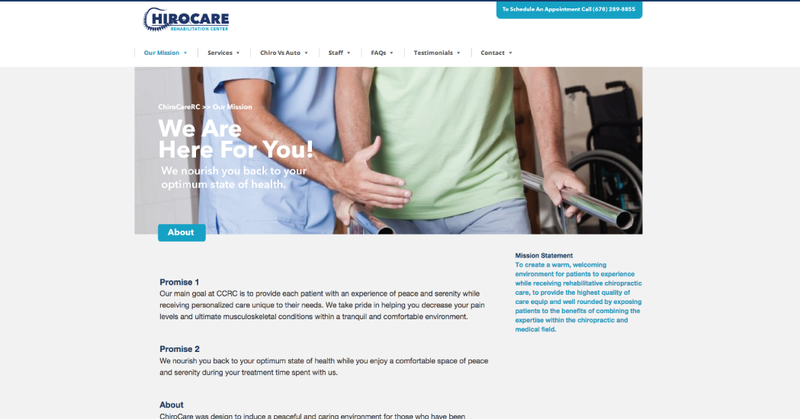 We completed the initial development phase with a fully comprehensible homepage. 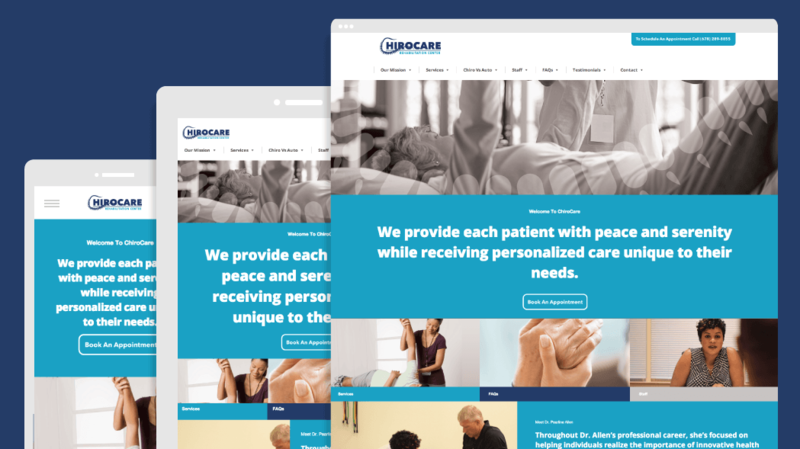 At the client’s request, we incorporated the practice’s brand mark in the layout by placing it in homepage header image and website footer. We succeeded in creating a hopeful and caring online presence.